On the occasion of Police Commemoration Day several programmes like Mini Marathon, Essay Competition etc are being held all over the State. 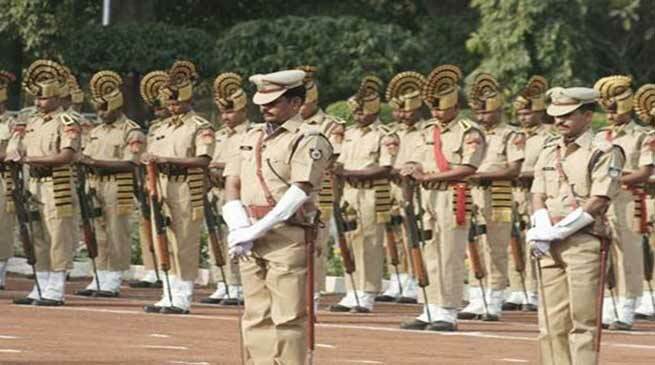 Police Commemoration Day is observed every year on 21st October to pay homage and remember the supreme sacrifices made by police personnel in line of duty all over India. It was on October 21st 1959, 10 policemen lost their lives and 7 others were injured in the Hot spring in Ladakh region when they were attacked by Chinese Army personnel. In order to remember the supreme sacrifices of these ten police personnel it was decided in 1960 that Police Commemoration Day will be observed every year on 21st October. This 21st October marks the beginning of 60th Anniversary of Hot Spring incident and in order to honour the contribution of the police martyrs in the service to the nation, Hon’ble Prime Minister is going to dedicate National Police Memorial built in Chanakyapuri, New Delhi on 21st October 2018. The Police Commemoration Day parade at National Police Memorial and dedication of National Police Memorial to the nation will be telecast live on Doordarshan and the webcast is also available at the webcast.nic.in/mha/ib at Arunachal Pradesh Police Website. Police Commemoration day is also observed in Arunachal Pradesh at PTC, Banderdewa. On this Police Commemoration Day several programmes like Mini Marathon, Essay Competition and Painting Competition are being held all over the State. On this occasion Arunachal Pradesh Police remember the supreme sacrifices of the police personnel in line of duty in Arunachal Pradesh. The senior police officers of the districts would visit the family members of martyrs and show their solidarity with them.